All of the below information comes directly from job reviews written by Schroders employees based on 32 reviews. Know your skills, know the industry and know the role. When recommending investment decisions, include more that just the fundamentals (i.e. market positioning and any inefficiencies. Make sure you know what you're going for. This isn't investment banking. Be yourself and be truthful throughout the hiring process. Show an interest in the field, but also be proud of your interests and hobbies whatever they may be. You'll soon find out that the people here are diverse and that there are many interesting conversations to be had. They asked me some questions I didn't know the answer to (and that I now realise I couldn't have possibly known the answer to at that time). They would much rather you admit you don't know the answer and show your willingness to learn than try to blab your way through an answer that you (and your interviewer) know to be wrong. 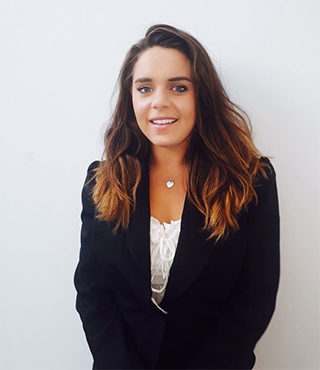 Be personable and inquisitive - a high academic standing is a given, ultimately the people that choose you want someone who they can get along with on a day to day basis. Bring you own personality and a bit of confidence (though not too much, arrogance does not come across well). Talk to someone who works here to find out if it is the right fit for you. Show your thought processes clearly. Try and differentiate yourself through the examples you use - use examples from all aspects of your life (i.e. not just those directly related to the world of finance). While good academic results are important, the way to stand out is through your personality. It might sound cliched but be yourself; Schroders has a very good culture and it is important that new employees fit in with this culture. If the team you are interviewing for think you will fit in then you instantly have an advantage. Research the role carefully and think on your feet. Be open and natural. Apply early, know why investment management vs banking, be passionate about finance and economics. Read about economic news and how it is impacting markets. Be interested in the industry, Schroders should not be the only asset manager you apply to, know the competitors, the situation with the industry as a whole and where Schroders' strengths and weaknesses lie relative to it's competitors. Be flexible as to where you may end up in the business. In the current system you will apply for one of a few areas and then be assigned a more specific role within that area. 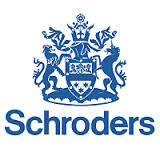 Know the industry and what Schroders has to offer. If asked to present in advance, make your presentation slick and relevant. It is very competitive, you need to show you bring something to the table. E.g. being able to churn out what was in the headlines financially that morning won't impress anyone, it just shows you've read the news. However if you interpret some recent news and form your own opinion as to what this means for Schroders and for the market, then you show some level of ability. Be specific - don't waffle. Try to draw from all your experiences and areas of your life. The people interviewing you are the heads of various bits of IT, so use the process to get to know them as well as selling yourself. Make it more of a conversation. Be honest - Schroders has a very specific culture, so if it's not you don't try to fake it, because 1) they'll realise, and 2) you won't like it if you did get here. Personality is very important. Of course academic qualifications and skills are required, but Schroders places great value on an employee's people skills and ability to contribute to the team ethic in the workplace. Have a good range of examples of when you've demonstrated skills, particularly soft skills. Make sure you have a good, and believable, reason for why you want to work for Schroders. They want people that can learn. Any examples you use, show how you were able to adapt and learn from the experience. It's ok if your background is non-financial for an IT role, don't be put off. Show that you can solve a problem, and then communicate it. They want someone that has the ability to explain their thought process and not just say 'because it is'. Know the company, know the general area you're applying to and have an open mind. Personality and cultural fit seems to be a key consideration. General competencies are sought over particular degree subjects. Assesment Centre: Group Tasks, Competency based interview, Case study, Presentation and tests. Prepare as much as possible, read up about the industry, role and company. Be able to show an interest in investment and be enthusiastic. Be enthusiastic and be willing to give an opinion. Be well read in terms of markets and the global economy. Go to the FT Companies & Markets section, The Economist. Know roughly how equitiy and bond markets work/ roughly how to value a company. Have an idea of how to construct a portfolio of investments if you had £5m. Where would you invest your money if you had £5m today? What's going on in the global economy? Which sections do you go to when you read the FT? There's as usual the standard competency questions/ group exercises at the assessment centre. The initial online forms may seem over the top but they are deliberately like that to filter out those who do not really want the job so stick at it. When someone has just rushed it because it is so long it is blatently obvious so put the time in and it should pay off. Show your strengths, experiences, achievements and interests. Be yourself and don't be shy. The interviewer wants you to succeed. They are looking for people who fit in so make sure they get the right impression of you. If you're not right for the organisation then you won't enjoy the job. Make sure you want the job you're applying for and know what that sector does. So many candidates so having something that makes you stand out is important. Enthusium at interview stage and strong inter personal skills. Research the companies views. Different departments have different views. The initial application is deliberately long to put off people who do not really want the job. If you take the time to complete it then you are already ahead of the pack. All of the standard leadership, teamwork, challenges questions. Don't think you have to have studied finance or economics at university to get into such a role. Just have a good work ethic and positive attitude towards learning. Take an interest in the business area - doesn't mean reading the FT every day but be aware and have an opinion of what's going on. Be yourself, don't try to be someone you're not. Most of the questions are competency based finding out about your motivation, leadership and teamwork skills. They also want to see how you think; there's no right or wrong answer provided you can back up what you say. Be honest. Try and show strong communication/personal skills. Be yourself, be confident and ask questions. Schroders prides itself on its british heritage, and this is reflected throughout the company. Make sure you do the proper research to ensure you get the most from your interview and application process, as this is as much you interviewing the company, as it is them reviewing you. Understand thoroughly what the firm is about and how it differentiates itself from competitors. Understand the team you are joining and the prospects they have in the company.